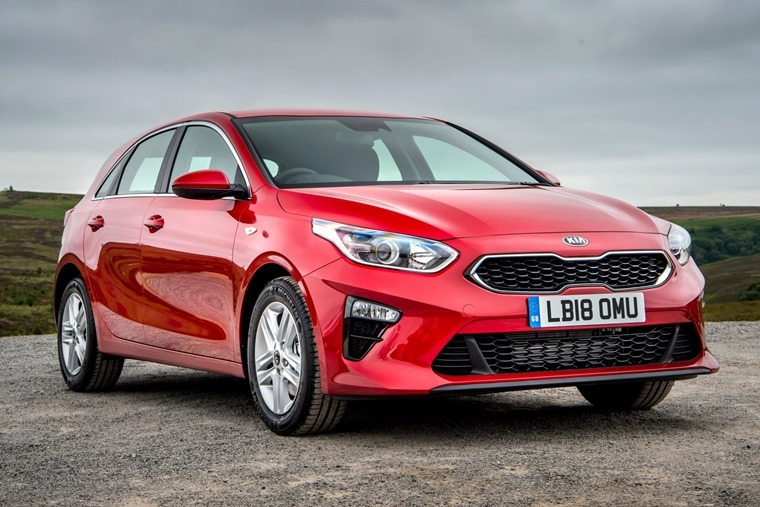 Following its UK debut at the 2018 London Motor Show, the all-new Kia Ceed has officially launched in the UK, with list prices starting from £18,295. 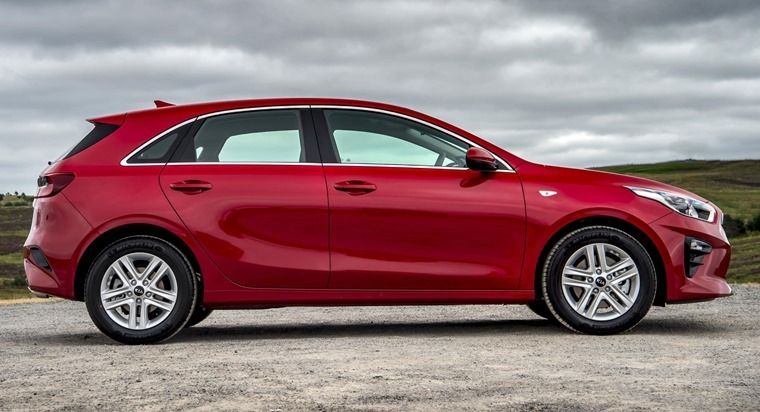 You can find lease rates for the new car for less than £225 per month by clicking here or alternatively, read our first drive review here. 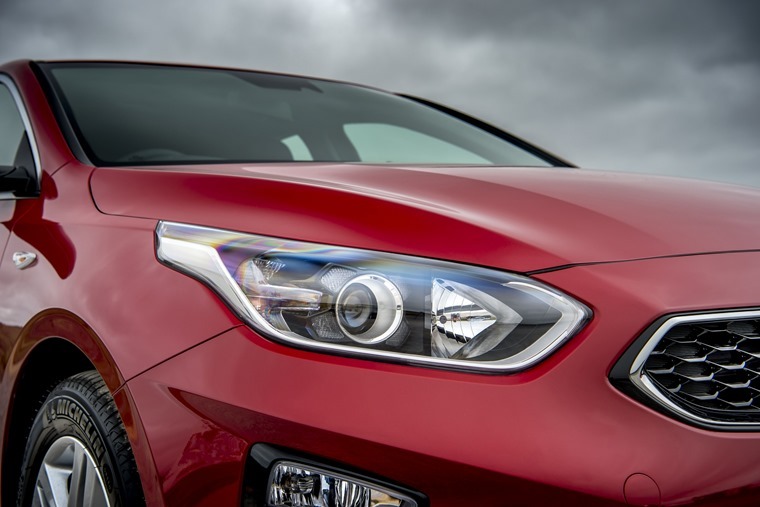 Now in its third generation, the Ceed has been designed, developed, engineered and built in Europe to really make a name for itself in the hatchback segment and challenge the likes of the VW Golf and Ford Focus. That’s what’s behind the slight rebrand from cee’d to Ceed – a subtle acronym of Community of Europe, with European Design. So now you know. 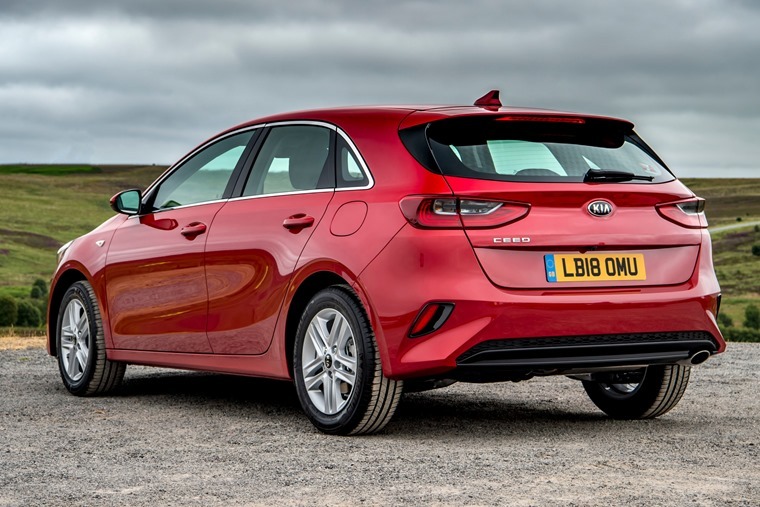 With a mature and athletic new design, innovative new technologies, and a more engaging drive the Ceed five-door hatchback and Ceed Sportswagon go on sale in the autumn. Lower, wider, and with a longer rear overhang than the car it replaces, straight lines replace the rounded-off edges of its predecessor, evolving the front of the car with a wider ‘tiger-nose’ grille and lower air intake, and precise, linear shapes framing its ‘face’. It is 20mm wider (1,800mm) and 23mm lower (1,447mm) than the outgoing model. Its wheelbase remains the same at 2,650mm, with a larger, 395-litre boot, as well as greater shoulder room for rear passengers, more headroom in the front row, and a lower driving position. Inside the cabin, the Ceed is more ergonomic than ever, and with higher-quality materials used throughout. 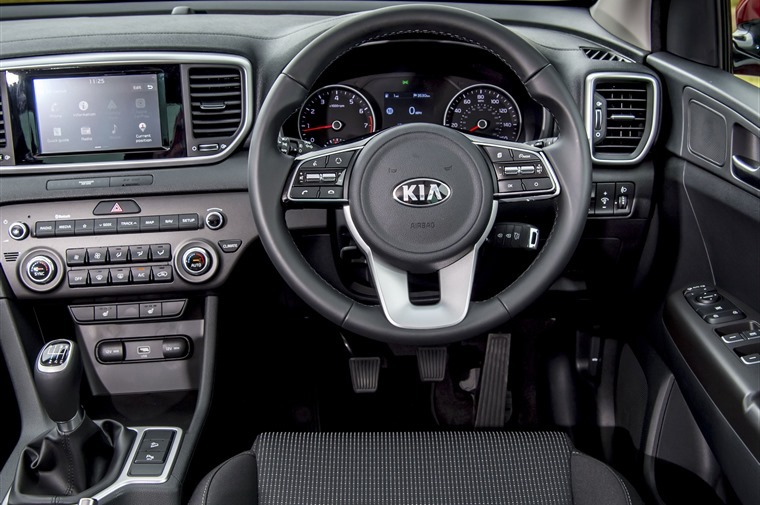 The cabin architecture from the most recent Kia vehicles has been adapted for the Ceed which also creates greater space and a sense of openness for the front passenger, allowing more space in the footwell and a clearer view ahead. The dash is split into an upper area for the ‘floating’ touchscreen infotainment system available as either a 5in or 7in touchscreen audio system or 8in touchscreen navigation system, and lower area housing controls for audio and heating and ventilation. Driver-centric in its layout, the centre console is angled slightly towards the driver’s seat for ease of use on the move. The ride and handling characteristics of the new model have been tuned to elevate the Ceed over its predecessor in terms of dynamism and driver engagement, and having been built and designed in Europe has also been engineered exclusively for European roads. The new fully-independent suspension system will provide drivers with more agile and immediate handling responses, complemented by revised spring and damper rates and a faster steering rack. A Drive Mode Select system meanwhile will enable drivers to tailor their experience behind the wheel, with Normal and Sport modes. Drivers can use Drive Mode Select to alter the level of effort required to steer the car, while each mode subtly changes the character of the engine. Normal mode maximises the potential for greater fuel efficiency and offers more relaxed steering inputs while Sport mode enhances throttle responses, enables faster acceleration and adapts the steering to offer additional weight and more decisive responses to driver inputs. A wide range of engines will be available from launch including a revised 120PS version of the turbocharged 1.0-litre petrol engine, a new 140PS 1.4-litre unit and an entry point 100PS 1.4. In addition to the petrol engines, two versions of the 1.6-litre diesel engine will be available, with 115 and 136PS. These all come with a six-speed manual gearbox, but a seven-speed dual-clutch transmission will be optional on all but the two least powerful petrol engines. 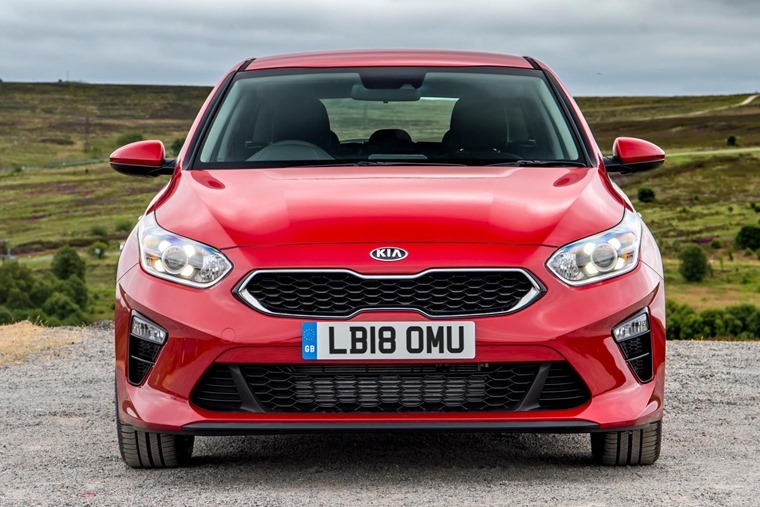 Michael Cole, chief operating officer for Kia Motors Europe, said: “The Ceed has become a recognisable sight on European roads, and buyers understand what it represents for Kia.